Immigration and Customs Enforcement arrested a man in his backyard yesterday in California in a video captured by his wife. Helena Ponce told Los Angeles ABC affiliate KABC that ICE went into the family's backyard in Napa, California, asked her husband his name and arrested him without any problems. His daughter also watched as multiple ICE agents put him in their car. Ponce's husband, 39, immigrated to the U.S. from Mexico when he was 4 years old, according to his family. 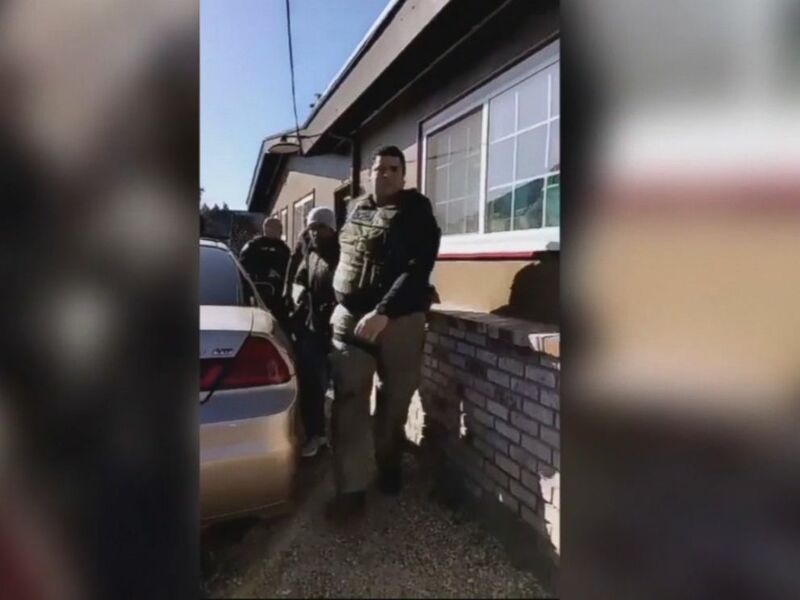 Immigration and Customs Enforcement agents arrest an undocumented immigrant in front of his wife and daughter while he was gardening at his home in Napa, Calif., Feb. 25, 2018. Helena sought the help of the North Bay Organizing project, an organization that helps undocumented immigrants after they are taken into custody by the ICE. 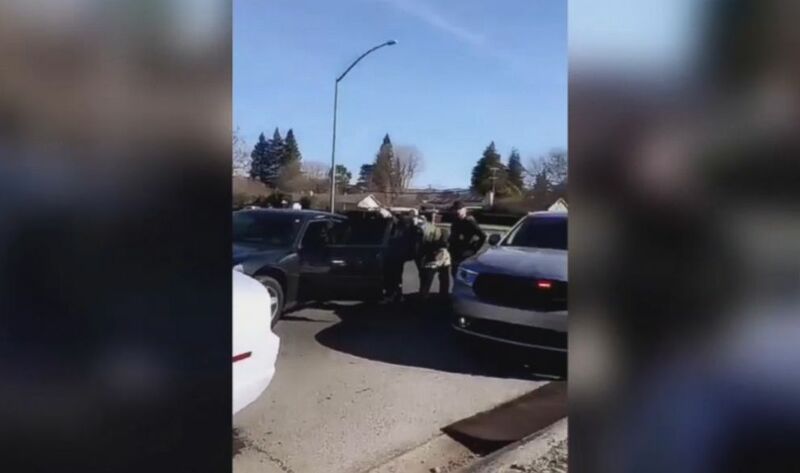 "We feel it's a tactic to increase fear in the community and to cause them to forget they have rights and that's why Rapid Response exists so we can remind people they have rights," Karla Marquez, a community organizer from North Bay Rapid Response Network, told KABC. According to the Public Policy Institute of California, there are more than 2 million undocumented immigrants living in the state, which makes up close to a quarter of the country’s undocumented immigrants. KABC reported Ponce was one of several arrests made in Northern California over the weekend.